Ropemakers Solicitors is a vibrant law firm dedicated to delivering results and the highest standard of service to our clients. We pride ourselves on delivering timely and appropriate advice geared towards our clients’ needs and budgets. Our mission is to help our clients achieve their goals and aspirations in a seamless and efficient manner. 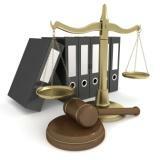 We believe that a law firm should be a helpful facilitator to one’s needs and not be perceived as another obstacle. Our approach to law is steeped in traditional values of English law – we believe that a solicitor is first and foremost a skilled professional able to understand; research and explain any legal problem correctly and effectively. We do not believe that a client is best served by a lawyer who is able to see the bigger picture and appreciate the context in which the client’s needs arise. We seek to provide our clients with a complete service that would allow them to make informed choices and decide on the best strategy to achieve their aims.